If you have been around rock climbing or long distance hiking circles for a while then the name Ray Jardine is one that will be familiar. For the hiking fraternity the concept of lightweight/ultralight hiking has been around for decades as people look to reduce the weight they carry on hiking trips. While Ray Jardine didn’t invent the concept, he is almost single handedly responsible for making it mainstream when he first released his book on the subject in 1991. This book was re-released and renamed in 1996 under its current name of ‘Trail Life’ with the current version released in 2009. While there have now been a number of books written on this topic including a number that have only been recently released, Trail Life – Ray Jardine’s Lightweight Backpacking is very much worth a read. While the gear has changed over the past two decades, the concepts remain the same. Speaking of concepts, this book is based around travelling the US Pacific long trails, the Pacific Crest Trail, the Appalachian Trail, the Continental Divide Trail, as well as others which have come to attention of the general public over recent years with the release of movies such as Wild. While you may assume that this book is only for lightweight/ultralight hikers (and this book does discuss making your own gear), Ray states in the welcome to this book that ‘I was not interested in minimalism, but simply a reduction in what was necessary’ and this is a concept that I agree with. At the risk of alienating the ultralight community I feel that the ultralight debate has gone off on a tangent that only discusses base weight and how light your pack is and forgets the concepts about why we look at reducing the gear we carry. While this book does discuss pack weights in depth, the conversation is more around choosing gear that meets your needs, and not carrying things that you don’t need; and yes how to make your own gear if that’s what you are into. In addition, this book also discusses hiking practice including preparing for hikes, food clothing, photography and general skills. On the down side this book is written for the US market so discussion on cougars, bears, and poison ivy is not really relevant to overseas hikers, but interesting all the same. The text is set out in sections (see below) that take you through life on the trail in an easy to follow logical manner and doesn’t get so technical that you fall asleep. So who is this book for? If you are a beginner hiker that has no interest in spending weeks and even months hiking the American long trails and their Australian and overseas counterparts, then this book may not be for you. If however you’re working towards doing a long trail or at that stage where you are trying to reduce the weight you carry for logical reasons and still retain a level of comfort, then this book (which is now becoming hard to get) is well worth reading. The current version of this book, released in 2009, is still available at the time of this review direct from Ray’s website (see link below) as well as through Amazon. Up until mid 2016 this book was available from a number of online book stores but this no longer seems to be the case with the only reliable source being to purchase directly through Ray Jardine’s website. I was lucky enough to purchase my copy on Amazon early in 2016 however this book is getting harder to come by and a second hand copy on Amazon now starts at about $85 USD plus freight or around $599 USD for a new copy. It is a very good book but not that good. As a hiking obsessive I would buy a second hand version from Amazon because I think it’s worth it but baulk at paying the Amazon price for a new copy. 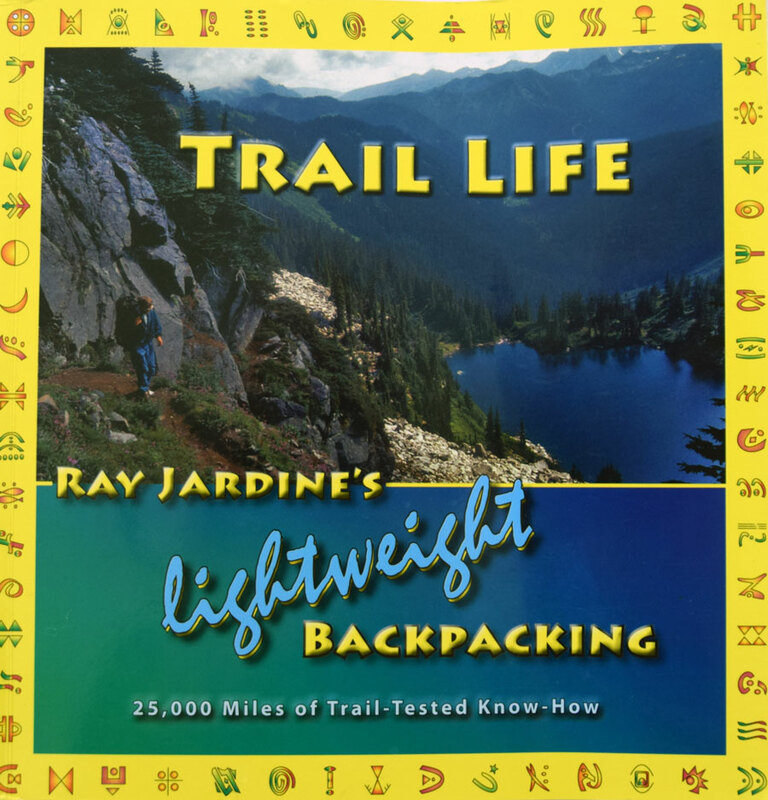 Purchase the Trail Life by Ray Jardine from Ray’s website here for around $68 AUD (including frieght to Australia).